Every Canadian recognizes Ontario as a winter wonderland, but it is not so whimsical for property owners who are being buried. Snow falls and fluctuating temperatures can be all sorts of unpredictable, and so can removal techniques. Understanding exactly what you have to do to benefit your property can be tough, but our Gorillas know just what to do. When you are in need of prompt, professional service and expert results, our Yorkdale snow removal and salting has you covered. Not everyone is built for winter, but everyone in the Yorkdale area has to learn how to deal with it. Marching through shin-high snow is no picnic, especially when stepping out of your front door. The larger the property that you are dealing with, the more complicated that snow removal becomes. In addition to just running a shovel over hard surfaces and collecting build up, creating a space that is safe to travel requires sanding and salting as well. Throwing down a couple handfuls to create a bit of traction is not enough to ensure the safety of yourself or your guests. 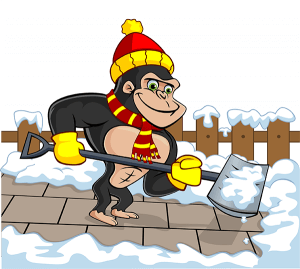 Identifying problem areas within your property is something that our Gorillas are trained to do, so leave your Yorkdale snow removal and salting to us! Over the years, our Gorillas have found that the best way to get results is to be ready for anything. When you choose Gorilla Property Services for your Yorkdale snow clearing and salting, you have all the backup that you will ever need. 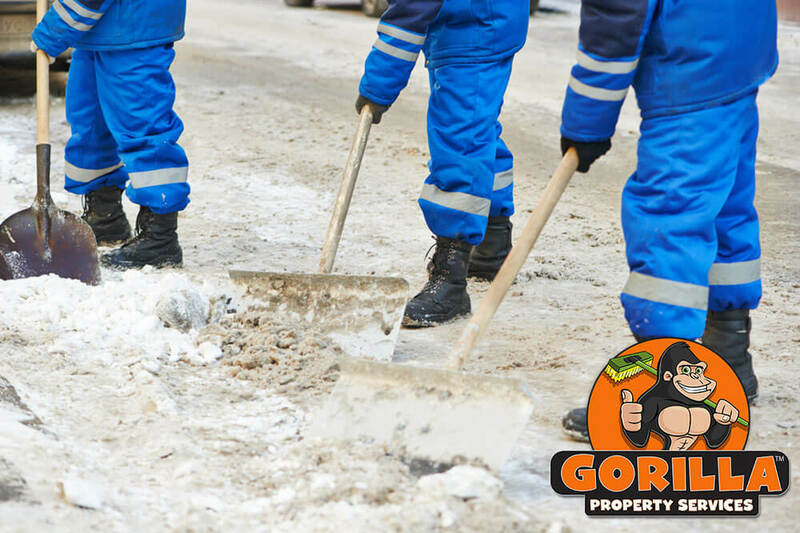 With reactionary or routine service options, our Gorillas can keep your property running smoothly all winter long. In order to keep up with the demands of our clients, Gorillas monitor incoming weather patterns in order to be prepared for heavy snowfalls or icy conditions. More often than not, our Gorillas know that you are in the market for a Yorkdale snow removal and salting before you do.